In MAXQDA it is possible to import texts and variables from an Excel spreadsheet in one step (you will find a more detailed guide on importing variables from a spreadsheet here). The Excel spreadsheet has to contain the rows ‘textgroup’ (this will determine the text’s document group in MAXQDA) and the row ‘textname’ (which will determine your text’s name). The following rows can contain the context of your respective texts – the column names will be transformed into code names, and the text in each row will automatically be coded accordingly. Variables will also be imported – you have to indicate with a dollar sign (‘$’) that the row contains a variable – otherwise MAXQDA will import the variable as part of the texts. To import your spreadsheet, right click on the documents icon in the document system window -> ‘import documents from spreadsheet’. 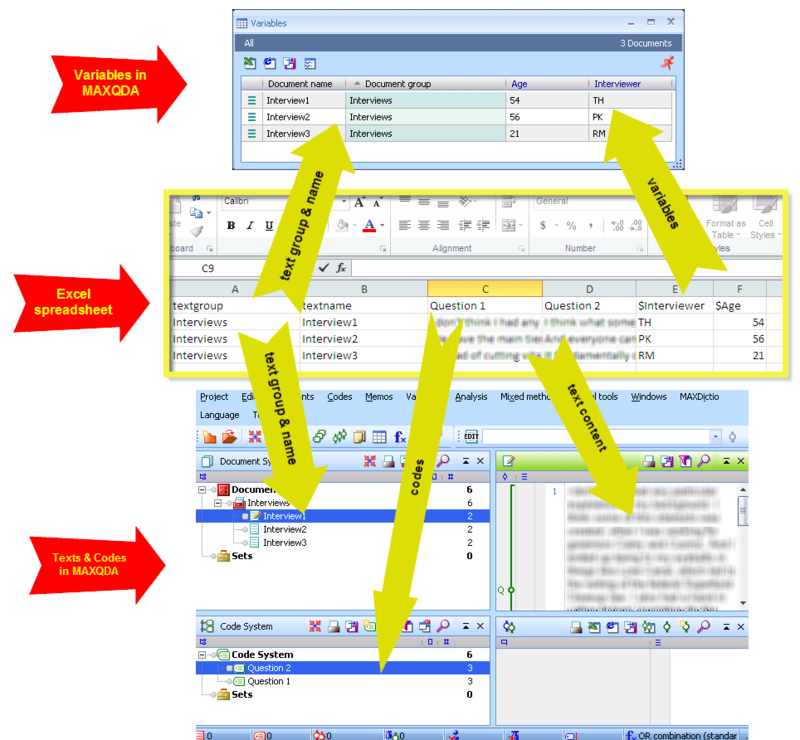 As you click on this, a window will open with information reminding you of the necessary structure of your spreadsheet outlined above.